Terence is the Chief of Computational Engineering at Rolls-Royce and leads an R&T team in data analytics and machine learning. He has 23 years of technology/R&D management experiences in high performance computing, cloud, data analytics and visualisation. Aside from serving on technical conference committees, Terence also served on Microsoft’s Technical Computing Executive Advisory Council, the Gerson Lehrman Group, HP-CAST board, Singapore’s National Cloud Computing Advisory Council and the Singapore Maritime Institute Technology Advisory Panel. 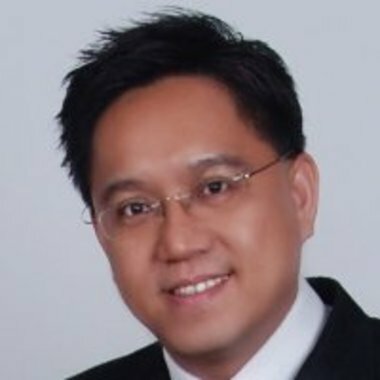 He had also held the position of Deputy Executive Director at the Institute of High Performance Computing and the VP Technology at Commerce Exchange Pte Ltd.
You have heard much buzz regarding the exploitation of big data and AI in the financial, commercial and retail industries as well as smart nation initiatives. What is perhaps less visible is the importance data analytics and artificial intelligence are playing in a less glamorous field – engineering. In this talk, I will share Rolls-Royce’s experiences in exploiting digital capabilities across our businesses and across the product life cycle of design, manufacturing, operations and maintenance.